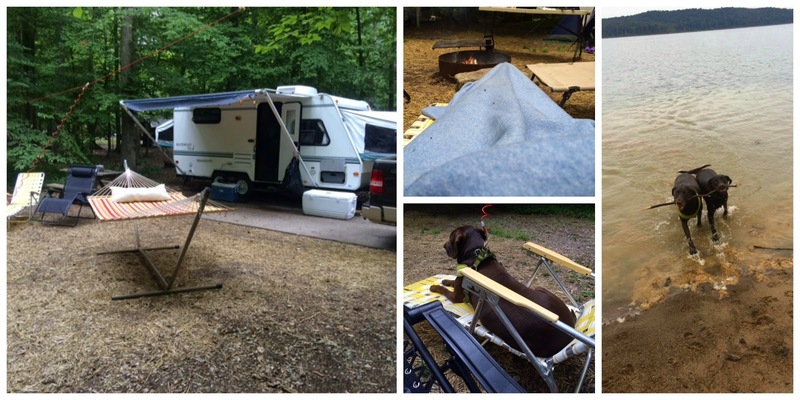 Made In The Shade Blog: Weekend Recap - Camping! We finally got to take our new (to us) camper out camping this weekend! I haven't been camping very many times since I was a kid, so it was exciting to go again as a grown up (ha!). The weather on Friday and Saturday was perfect, and Sunday is was a rainy mess, but we left that day anyway. We wondered why there was straw all over the ground at our site - which backed right up to the beach by the way - and we found out when the rain made it a muddy mess. Ollie sits in our lawn chairs at home in the back yard, so it was no surprise he took a load off at the camp site, and taught Sadie to do the same. How cute are they sharing a chair?! Like I said, the beach backed up right to our campsite, so the pups got a ton of swim time in. Ollie slept all the way home, all day, and all night he was so pooped. His 3rd birthday is the last week of August so we decided to take his cake from the puppy bakery camping so he could share with Sadie. They had cake for breakfast every morning! 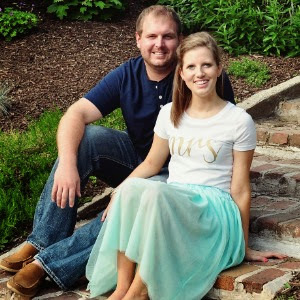 I am linking up as usual this Monday! And below are the details of the 2 giveaways I am participating in this month! 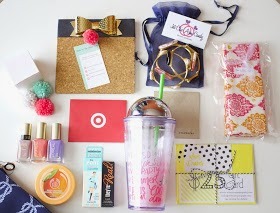 The details for this giveaway can be found ---> HERE! 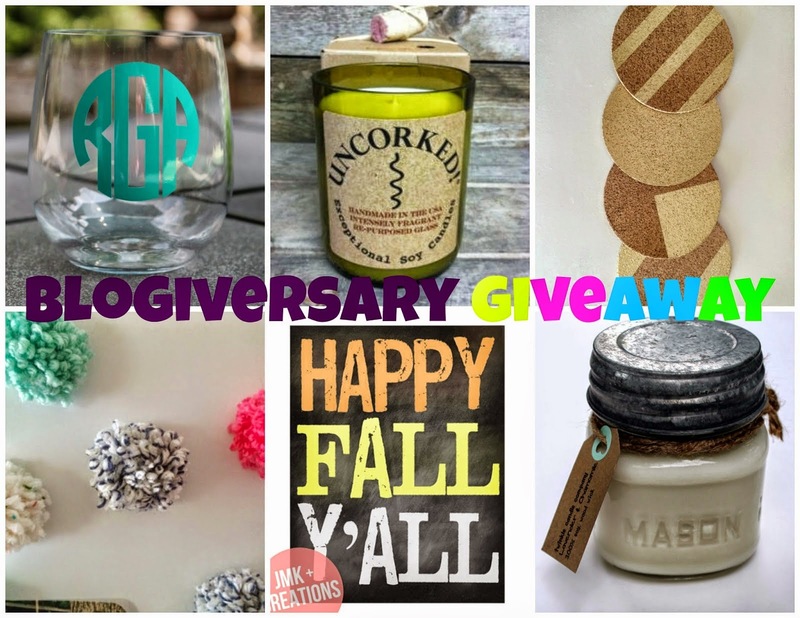 Find this giveaway ---> HERE! So glad you had great weather for your camping experience!! Sounds like it was a lot of fun!! What a fun weekend! I want to go camping with the kids soon, I'm sure they'd love it! Fun! Where did you go camping? I think I need a camper. It's probably the only way you could convince me to go camping again. Looks like fun! That cake is just too cute! Looks like a fun camping adventure with the fur babies! This looks like so much fun! Ollie sounds like he had the time of his life! puppy cake?! you're such a good dog mom! lol. 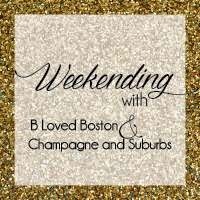 sounds like a fun weekend! Looks like a fun weekend! The pups are too adorable! Omg how fun!! Now I really want to go camping! I seriously haven't gone since I was little! Looks like the pups had a blast! So fun, I love the puppy cake!! How fun! This looks like a great time! I love me some camping! :) And the doggie birthday treats - too cute! So fun....camping is the best...especially when the weather is cooler...sorry about the rainy mess on Sunday...at least it held out for you guys!! The pups were living the high life! Ha! 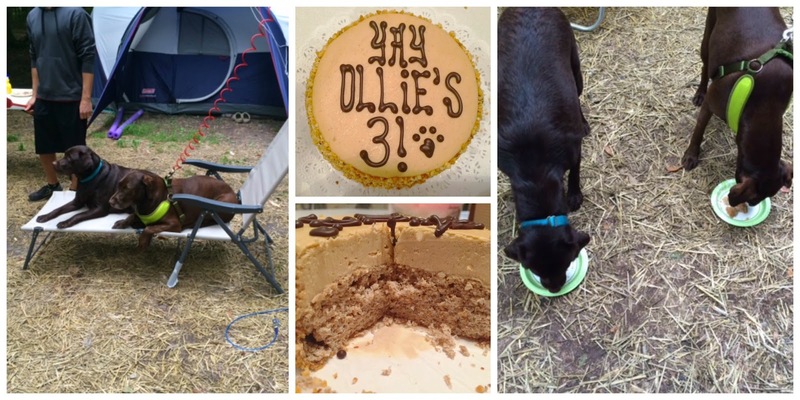 Happy Birthday to Ollie, he looks like he had a wonderful weekend with Sadie! Too adorable. Sounds like you had a great weekend camping! We had rain all weekend! Happy birthday, Ollie! My JC turns 3 this Thursday!!! That cake is so adorable! Love great weekends like these! So worth it later on to take the time to make lasting memories! Glad it was a great weekend! Oh my gosh, how awesome!! I always think trips like that are so much fun! Camping! I haven't been camping in a while! Always a good time!